Helping individuals experiencing homelessness in Tulsa is not just about the costs to our community or how Tulsa looks to visitors and prospective businesses…it is the right thing to do. And it is something we can accomplish together. It takes a collective effort to fight problems as complex and difficult as homelessness and mental illness. Tulsa – through our business and community leaders, nonprofit agencies, volunteer base, information-sharing, and policy-making – is coming together to work on solutions. This page houses a variety of resources for property owners, business leaders and other concerned citizens. If you’re experiencing an issue or have an idea to help Tulsa’s homeless population, contact hannah@schnake.com. Theoretically, Americans are only one paycheck away from living on the street. As all of us know, America’s economy has had its ups and downs in recent years. The great recession created new challenges, including increasing numbers of individuals and families experiencing poverty and homelessness. And sometimes it takes one health diagnosis (and the bills that follow) to force someone out of his home. It’s a scary thought. It’s also a scary thought that a healthy, active teenager could be diagnosed with a several mental illness in her early 20s, be unable to find the right treatment, and ultimately turn to the streets and self-medication. Or what about the veteran who has served our country and returns with untreated post-traumatic stress disorder? Or the teenager turned out of the home for being transgender? Or the woman who escapes her abusive spouse with only her children and one small bag of clothes? There are many reasons someone may experience homelessness – whether it is “couch-surfing” for one night or living on the streets for 20 years. But the fact is, most of us – even if we sympathize or donate to the local shelter – believe the person on the street ended up there at his or her own fault. People experiencing homelessness are three times more likely to die than the general population across all age groups and often die from illnesses that can be treated or prevented. No matter how someone loses his or her home, he or she is our fellow Tulsan. Be kind, make eye contact, and offer assistance in the form of making a call or providing a phone number to services (not cash). When the community cares about addressing the issue of homelessness and when they share information about Tulsa’s efforts to do so, we can make a real impact – together. First-time homelessness is growing at an annual rate of 5% in Tulsa. Poverty is high, insurance coverage is low and funding for mental health and other critical programs is far below standard. Individuals experiencing homelessness are your neighbors and fellow Tulsans. Many ended up on the street at no fault of their own and certainly not by choice. Law/Ordinance: It is not illegal to be homeless nor to live or sleep on the street. If an individual is asked to leave private property and refuses, it is considered trespassing. Most proactive panhandlers are not homeless, regardless of what their verbal or written solicitations say. The important note here is to differentiate the homeless population from the individuals holding up signs at highway exits or busy intersections. Tulsa is a philanthropic city, and panhandlers take advantage of our generosity. The best thing to do is avoid giving cash or other gifts to panhandlers and direct your generosity to organizations serving those in need. Law/Ordinance: Whether the person is truly in need, it is not illegal to make one, non-aggressive solicitation in Tulsa unless stepping or reaching into a roadway to do so. Is it illegal to make a second request if denied the first time. It is also illegal to make a verbal or physical threat while soliciting. Oklahoma is second in the nation in percent of the population with mental illness. But individuals with mental illness do not bring it upon themselves; mental illness and addiction are brain diseases – physical health issues just like any other, including diabetes or cancer. The solution to mental illness is least likely to be incarceration, yet many of us choose first to call the police when we encounter someone who needs care. Law/Ordinance: It is not illegal to have a mental illness. If someone with a mental illness commits a crime, the law does apply. 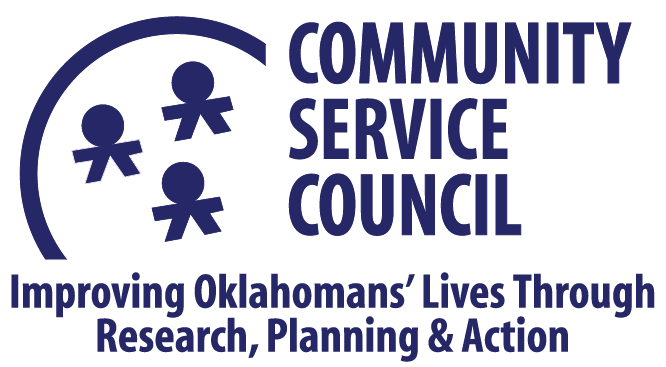 If you encounter a Tulsan who is experiencing homelessness, may have mental illness or substance abuse issue, or who is asking you for money in an aggressive manner, the answer is not always to call 9-1-1 or the police non-emergency number. The following is a resource list for non-threatening, non-emergency situations. Or do you have a specific issue? We have homeless and housing experts on hand to work on a solution for you. Of course, in the case of an emergency or life-threatening situation, immediately call 911. If you’re experiencing any issues and have questions about what to do, reach out to [name/contact]. Does your office have a reliable screening process for visitors? You may have an existing HR policy about solicitors and non-employees entering restricted areas, but we encourage you to also think about how your front desk person and other employees handle encounters with individuals experiencing homelessness. Our company does not allow unauthorized visitors of any kind, particularly beyond the borders of our entrance/front desk. If an unauthorized visitor enters the building/door, remain professional but please ask him or her to leave immediately. If you determine the visitor poses a physical or verbal threat, contact the HR department or call 9-1-1. If you believe the unauthorized visitor is experiencing homeless and is seeking food or shelter, please refer the person to a local shelter. This is a private building / place of business, but we have visitors who enter and leave the building throughout the day. However, some of those visitors may be unauthorized, and it is important for the safety of our workplace environment that all employees know the steps to dealing with unauthorized visitors. Determine if a visitor is authorized or expected in your workplace. Do not make assumptions. You have the right to ask for a name and purpose of the visit. If the visitor is unauthorized but does not pose a threat, remain professional and ask him or her to leave. If the visitor is unauthorized and poses a threat, contact the HR department or call 9-1-1. If the visitor appears to be experiencing homelessness or is seeking food, shelter or financial assistance, please refer him or her to a local shelter.